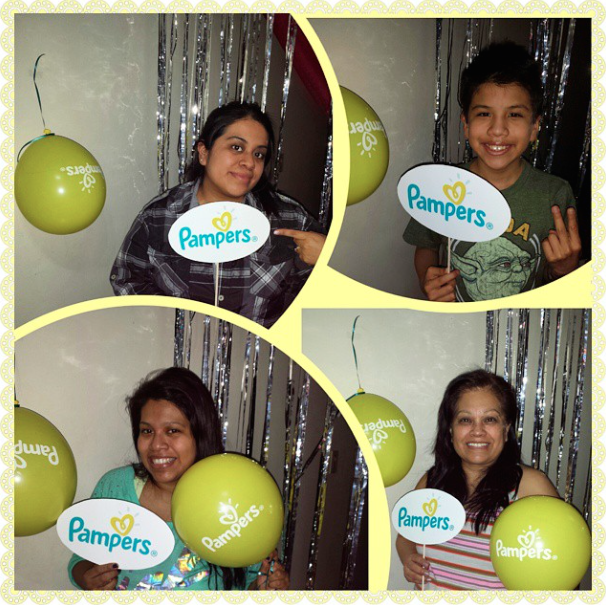 Celebrating babys first moments with Pampers. From finding out that you are pregnant, to laying eyes on your little bundle of joy. Pampers knows how important all of those moments are. Not only are they #1 choice of hospitals in North America and the first diaper worn by millions of babies. Pampers Swaddlers are soft, thin and perfect to help protect and give babies the comfort they need during all of those first moments. Pampers Swaddlers is now available through size 6 - baby girl love that news. She loves her Pampers diapers and the Sesame Street gang! Pampers Swaddlers is one of the softest diapers from the Pampers line and they offer up to 12 hours protection and come with a wet indicator that changes color when it's time to change babys diaper. Comfort, softness and protection you can trust! I was so excited to host my Pampers Viewing party with family and friends, I love sharing products I love and Pampers is definitely one of them. Watching Pampers First Video. 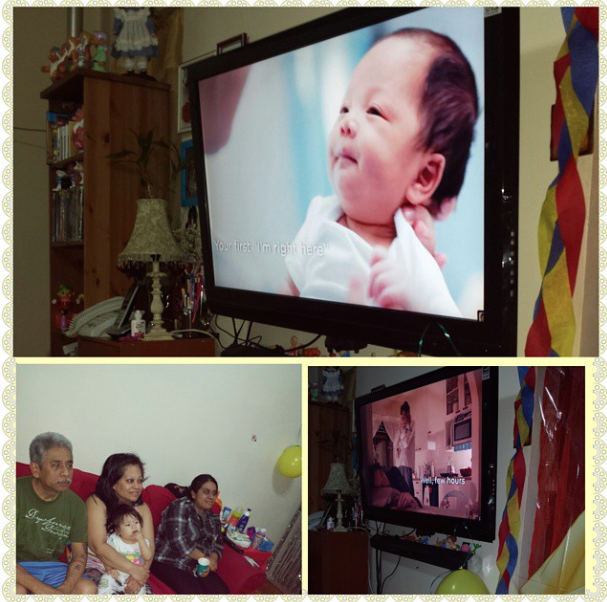 Celebrating baby firsts moments. 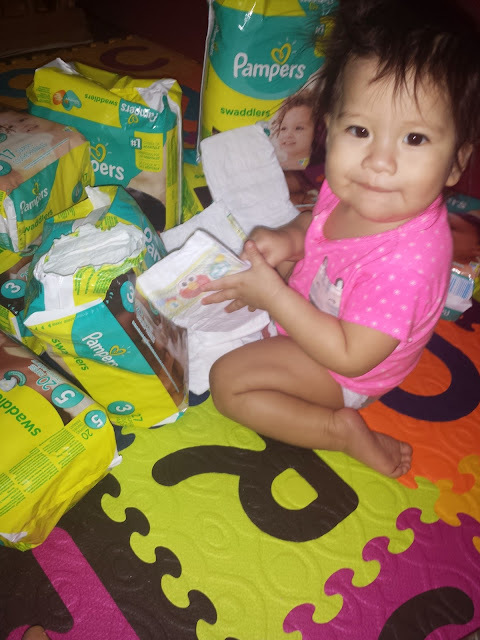 I can't believe I was able to contain myself from seeing the Pampers First video, I wanted to watch it with my family and friends so that I could feel what they were feeling. Watching it together for the first time. A few tears were shared during the video. Watching some of the scenes and reminiscing when our babies, were tiny or when they were born. 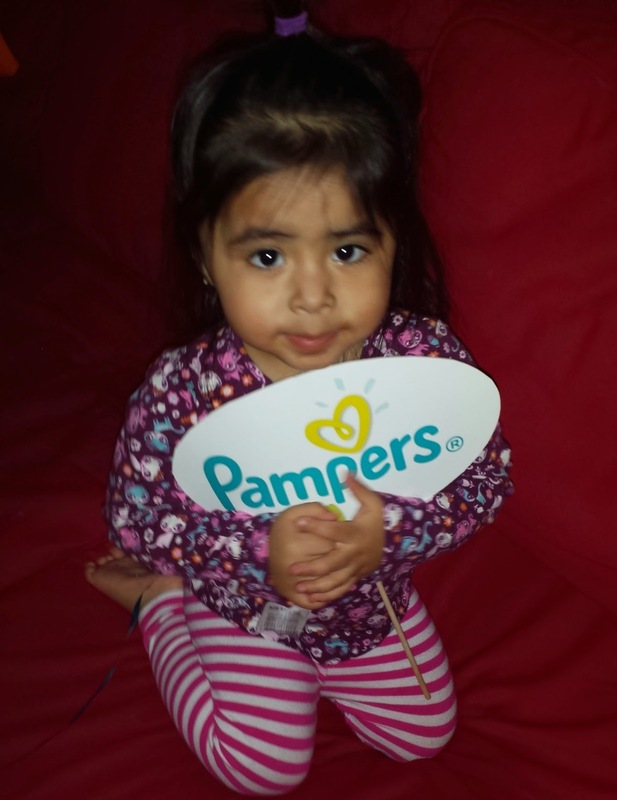 So excited to see that Pampers knows how important all of those first moments are! After watching our video, we all took our turn at filling out a quick review of Pampers Swaddlers on the Pampers website here. It's always nice when a company wants to hear what their users have to say. You can also go online and let them know what you think about Pampers Swaddlers. To make things even better Pampers has developed a micro - site that will allow you to upload your own images from you computer or Facebook gallery, so you can create a :15 second video to share out with friends and family via Facebook and/or twitter. 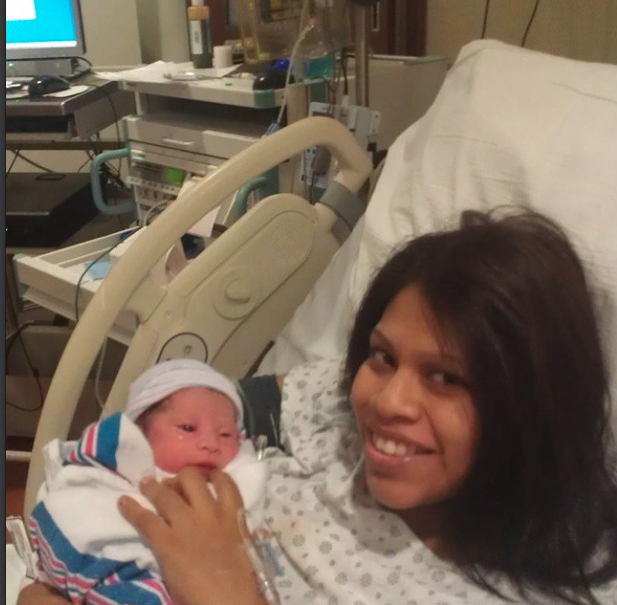 The video will highlight your babys photos and all their first milestone moments. 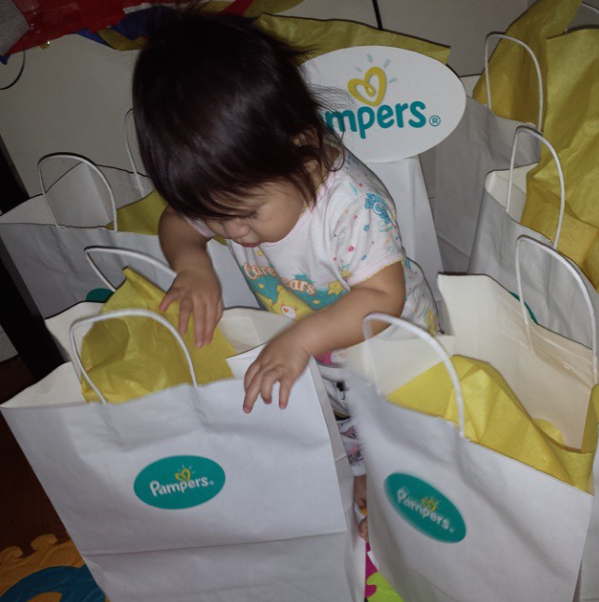 and follow Pampers on Twitter & Facebook . 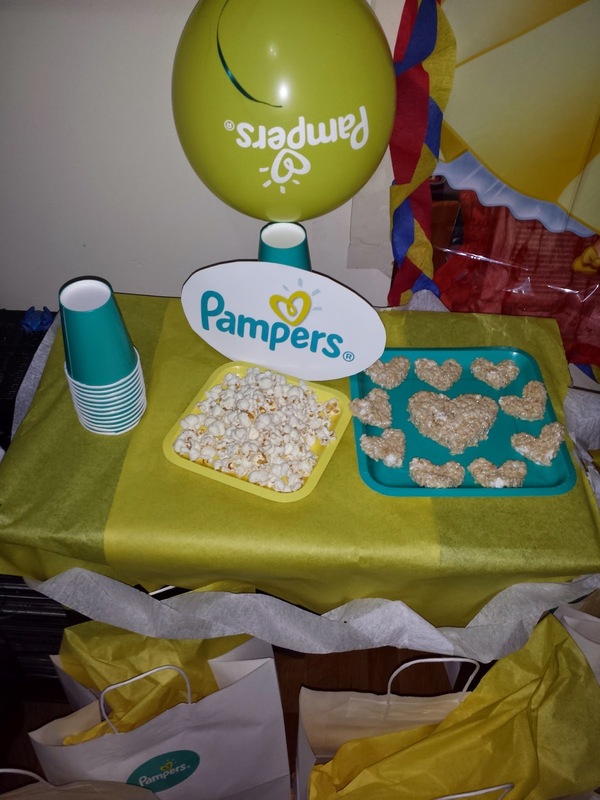 Thank you Pampers for making this party possible. Disclosure: This is a sponsored post and I was compensated. But all words and opinions are 100% my own.